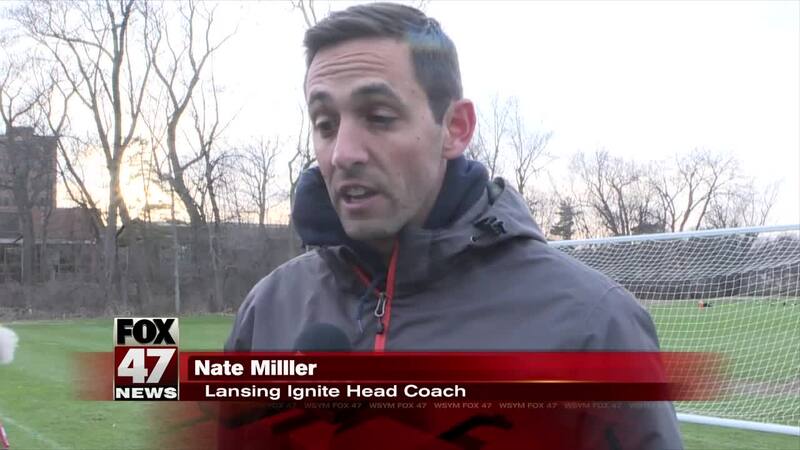 LANSING, Mich. — The coach of Lansing's professional soccer team Ignite is remaining silent after one of his players is accused of making anti-gay comments to fans during a game. Lansing Ignite soccer player Ricky Lopez-Espin took to social media to make a public apology for using offensive language during a match in Greenville, South Carolina. Lopez-Espin was accused of making a homophobic slur at fans but the actual comment remains unknown. “I hate to say it again, but again, the club made a statement about Ricky,” said Head Coach Nate Miller. One local business says that punishment is not enough. Strange Matter Coffee is calling on Ignite to release Lopez-Espin from the roster and to donate his fine to a local LGBTQ organization. FOX 47 reached out to the owner Cara Nader but no call or email was returned. Coach Miller also declined to tell FOX 47 if Lopez-Espin is suspended from practice as well. “The club made a statement about the situation so at this time, unfortunately I'm not about to comment about it further,” Miller told Cryss Walker. Lansing Ignite's first home opener is this Saturday at Cooley Law School Stadium.